You have a great business idea, but you don’t know how to get started. In this day and age, what you need is research, direction, the right tools, and the right traits. In fact, while conventional wisdom once said that 90 percent of startups fail, the truth is the number is closer to less than 60 percent. So what do you need to do to bring your idea to market? It all starts with research. The first thing you need to know is if your idea will make a good business. Is it marketable? One of the most important aspects of your idea is its uniqueness. According to Investopedia, that doesn’t just mean that it’s a one-of-a-kind product or solution. You can sell the same service or product as someone else, but you have to set your company apart from the competition with a unique selling proposition. Next, you have to research your idea. Who will buy it? How will you market it? What will pricing and support look like? While fleshing out your idea may come naturally, the work that pays off is the market research and analysis of your business idea. This is what can make or break your startup, your funding, and your future. Learn how to research your business idea at Entrepreneur.com. Here are some other questions you should be asking to test your business idea from Patriot Software. 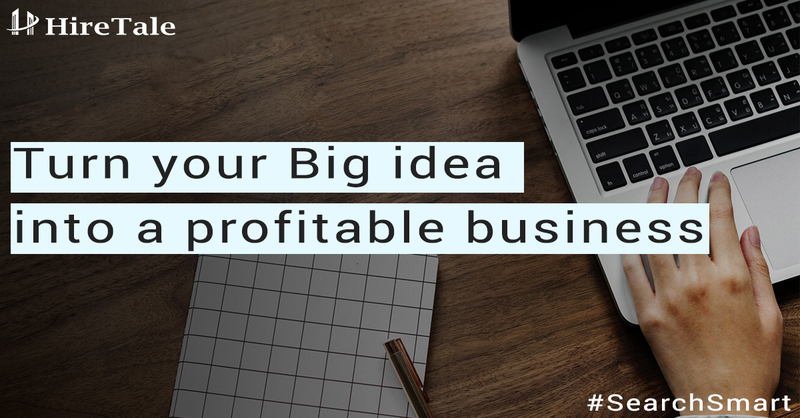 If you are still struggling with your idea or stuck on writing a viable business plan, you may want to reconsider your business model, especially if you are providing a service. Service providers need to think about long-term growth, including hiring and training others. They should also consider adding products and service plans. Self-confidence to weather the difficulties they will face. The passion necessary to work tirelessly towards your goal. The ability to handle adversity, industry changes, and uncertain times. Tenacity to push through obstacles and failures. Whether you are offering a service, developing a prototype, or building some other type of business, you will need customers. In fact, if you’ve ever watched Shark Tank, you know that you’ll need to prove the worth of your business before you can get substantial investors. How can you get your first customers? Start by figuring out who is your ideal customer. That will help you target the right people, but you should also reach out to friends and family. Once you have a good handle on who is your ideal customer, you can start by searching for that person in your network as you work on your marketing strategy. Here are eight more ways to get your first 100 customers from Chargify. To succeed, you will need to maximize your productivity. When entrepreneurs first get started, they do most of the work on their own while building capital. To do that effectively, you’ll need to set up your home office properly. Make sure your office is located in a space where you can eliminate distractions. Hopefully, you have a room or large closet with a door available. If not, you may need to make strict rules and set “working hours” when you can’t be disturbed. Invest in quality equipment and office furniture, so that you can ensure that everything functions properly and you are comfortable while working. Make sure you have enough natural light in your office during the day and effective lighting for evening hours. Over time, you’ll be able to hire help, most likely starting with an affordable virtual assistant or accountant. Turning your big idea into a business takes a lot of work but with passion, dedication, and the right tools, you can do it. HireTale.com is a technology start-up disrupting the whole recruitment eco-system. We differentiate ourselves in using technology-enabled innovative ideas in connecting recruiters & job aspirants. Register at https://www.hiretale.com/users/add_seeker to apply for top-notch jobs in India. Feel free to write to us at hello@hiretale.com for any suggestions/feedback. Entrepreneurship, Jobs and Career, Startups, Workplace Tips Big idea, business, creative, Entrepreneur, Entrepreneurship, recruitment, Startups, Technical, Tips. permalink.